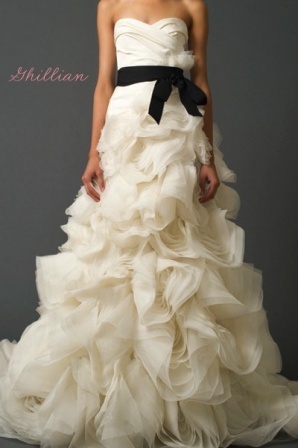 Let’s talk ruffled bridal gowns. 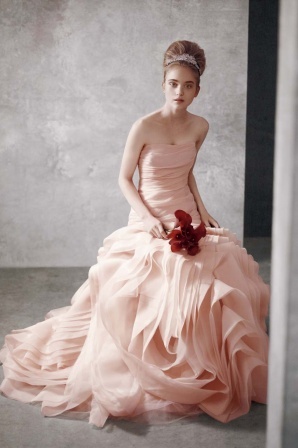 Ever since Vera Wang’s landmark Spring 2011 bridal collection, frothy, flange wedding dresses have been everywhere. 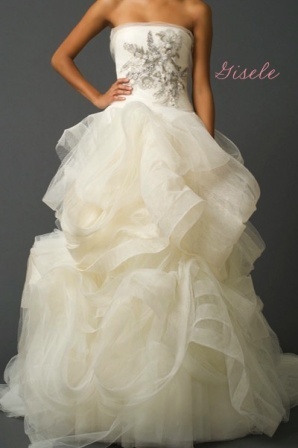 We saw hints of this technique in her Fall 2010 collection, but it wasn’t until Spring 2011 and the appearance of Ghillian, Gisele, and Genevieve that the bridal industry took note of the architectural beauty of more structured, ruffled skirts. These gowns, with their statement skirts and soft details, are beautiful because they possess both extreme delicacy and modern structure. They are architectural pieces that look stunning in non-white shades, and they look gorgeous on anyone looking for an uber-feminine design or something chic and modern. 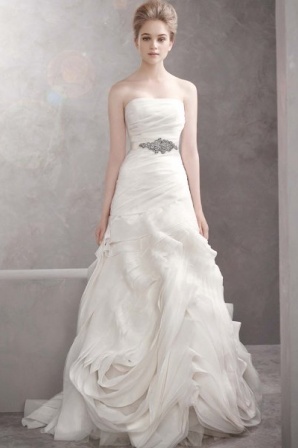 Vera Wang’s line for David’s Bridal, White by Vera Wang, has brought this couture look into reach for the masses. 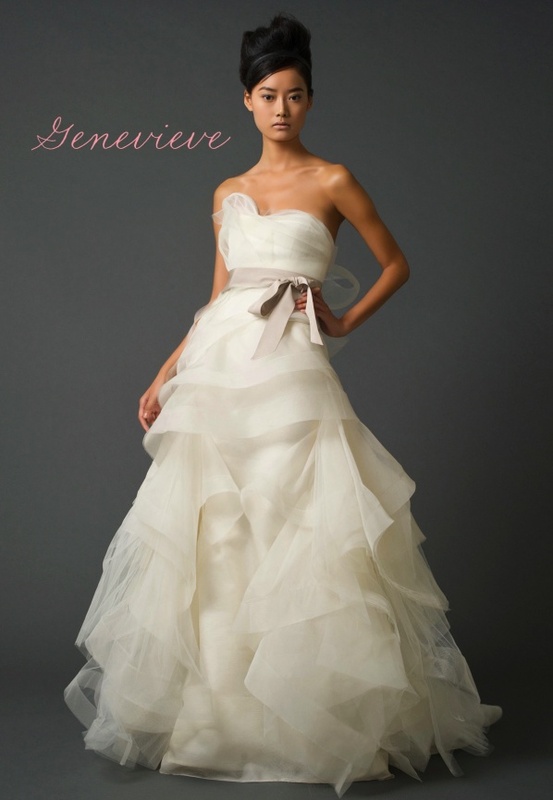 Her Organza Fit and Flare Gown with Bias Flange Skirt is stunning in ivory and blush, and the draped bodice is really flattering. Let’s face it- it’s Vera’s world, and we’re all just (lucky enough to be) living in it.